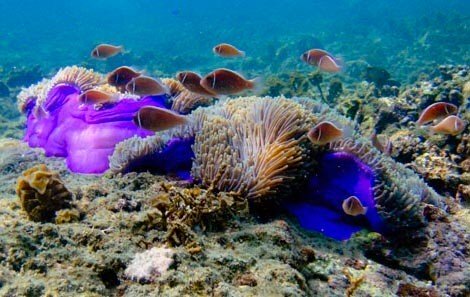 Explore the spectacular underwater world surrounding Koh Tao and Koh Nang Yuan during our full day snorkeling tour from Koh Samui. These islands are home to a diverse marine life and beautiful coral reefs, with warm tropical waters at an ideal temperature for swimming. Your snorkeling tour begins with a pickup from your port of call in our air-conditioned minivan and transfer to the pier in Koh Samui. 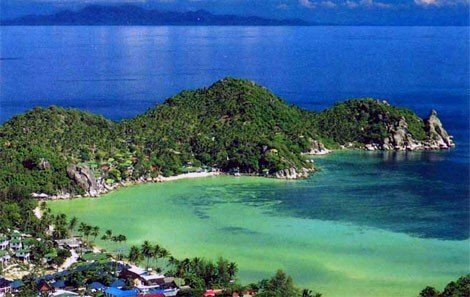 Itâ€™s then a 1 1/2 hour speed boat ride to your first snorkeling destination of the day - Hin Wong Bay on Koh Tao. This tiny beach is undeniably picturesque, flanked by big granite boulders, and the bay boasts excellent snorkeling, as well as swimming and kayaking opportunities. 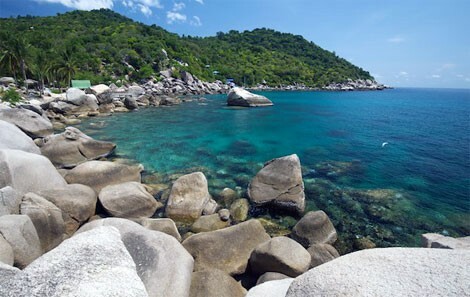 In the mid-morning we will cruise to our second snorkeling destination of the day at Gluay Thoen Bay on Koh Thao. Immerse yourself in the vibrant coral reefs that grow just below the water's surface and swim amidst colorful schools of fish! After working up a healthy appetite swimming in the beautiful Gulf of Thailand, you can indulge in a buffet lunch at one of Koh Taoâ€™s restaurants. This is a great opportunity to sample a variety of Thai dishes and salads, and relax before cruising to our next destination - Koh Nang Yuan. This little piece of paradise is actually made up of three teardrop-shaped islands, connected to each other by a massive sandbar. 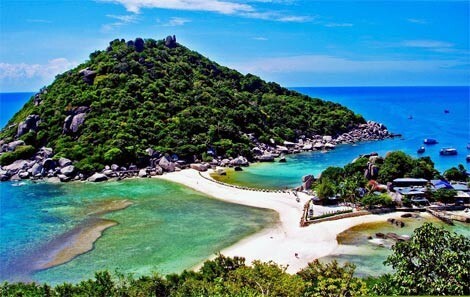 With blindingly white sandy beaches and a unique topography, Koh Nang Yuan is one of the regionâ€™s most picture-perfect destinations. You will have plenty of time here to explore its coral reefs, relax on its pristine beaches, or hike up to the top of its mountain to take in the panoramic views. We will depart Koh Nang Yuan and cruise back towards Koh Samui and your port of call.